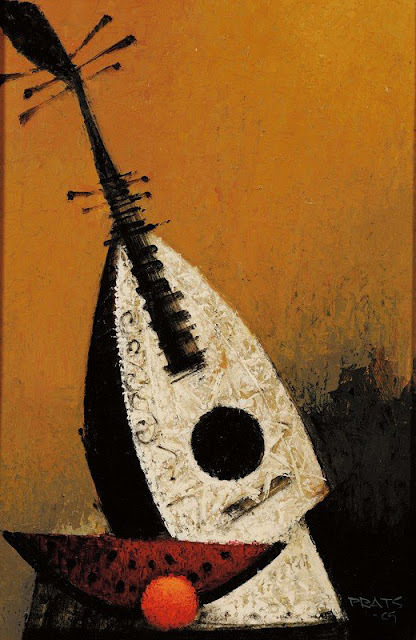 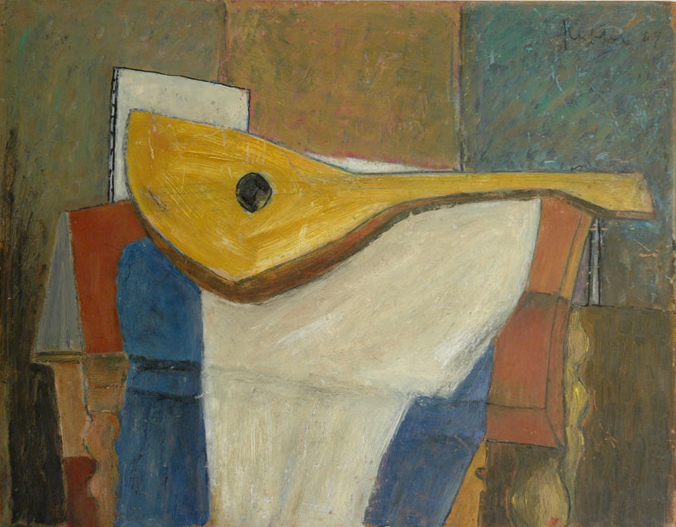 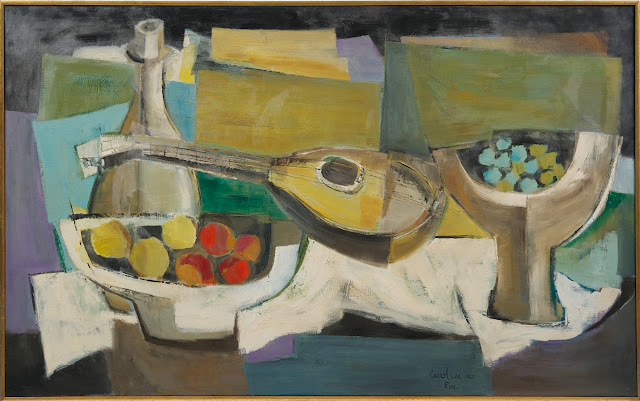 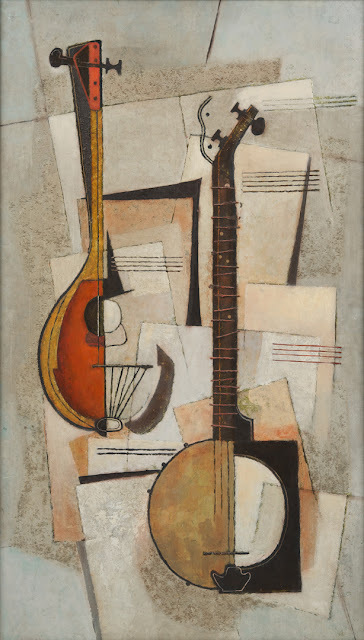 Today's Movement & Themes post features another popular subject of Cubist and Mid-Century era paintings; stringed musical instruments. The lute and mandolin seemed to be the most popular instruments depicted. 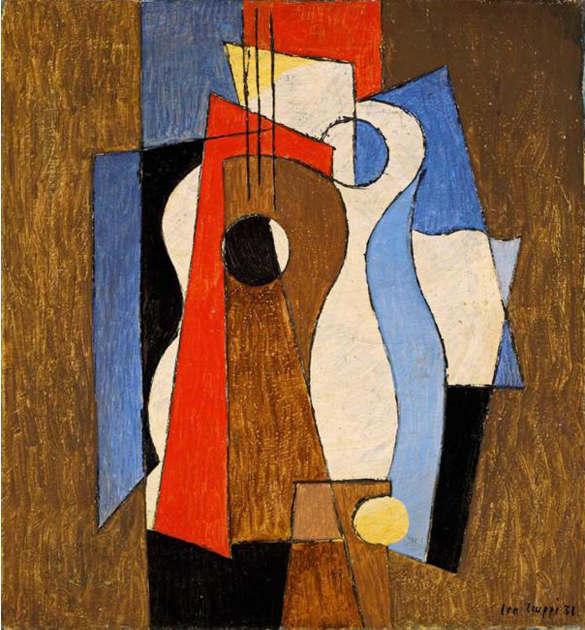 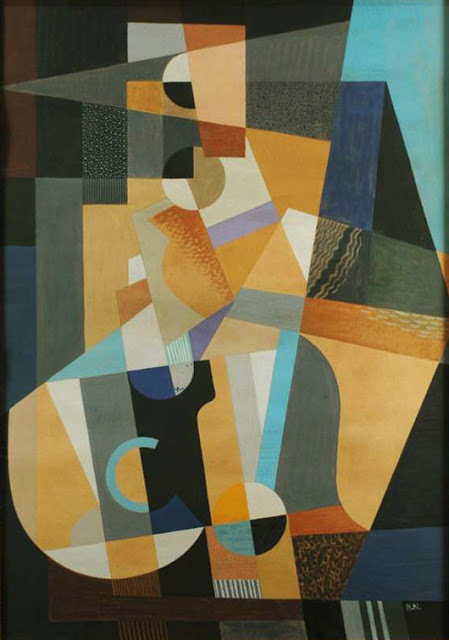 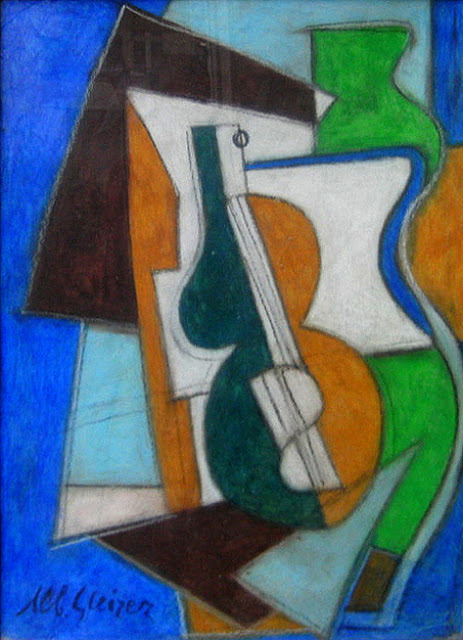 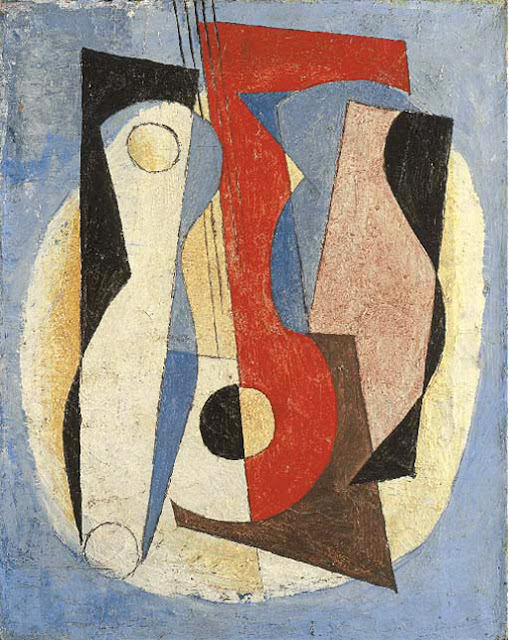 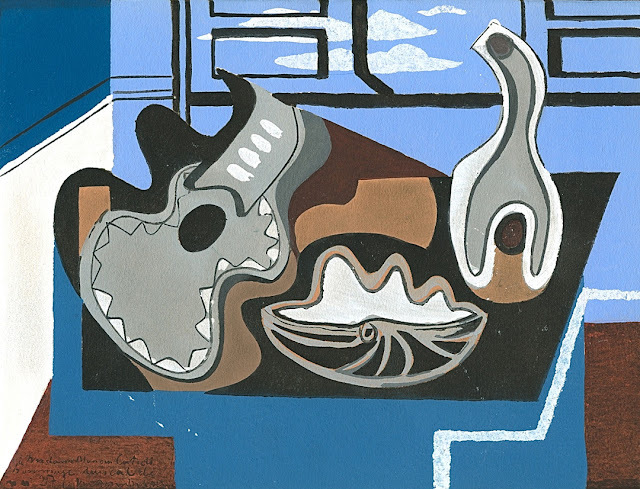 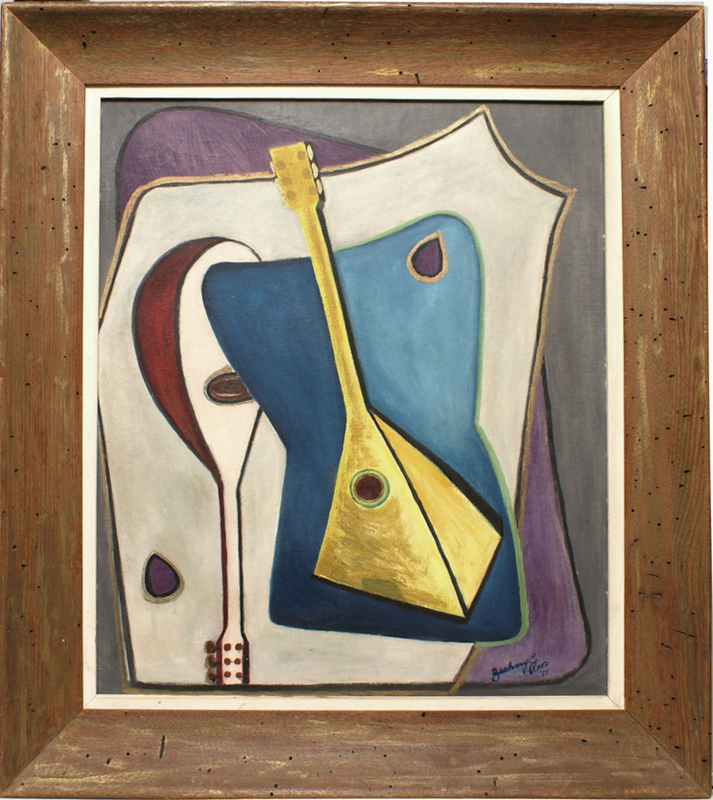 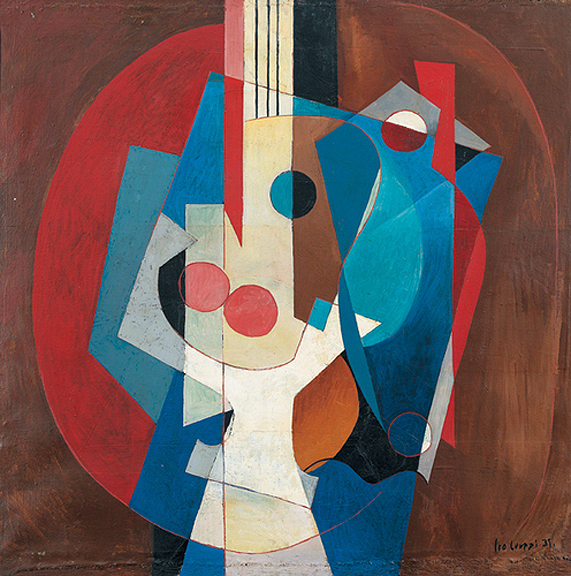 Leo Leuppi (1893-1972), Composition with Guitar, 1931, 39.5 x 39.5 in. Albert Gleizes (1881-1953), mixed media on board, 31.5 x 23.6 in. 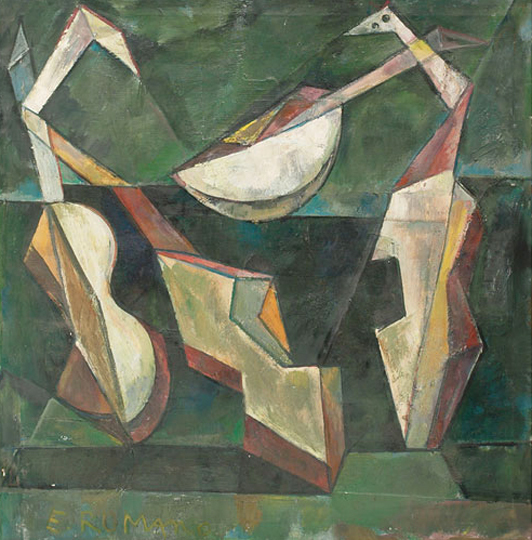 Emanuel Glicenstein Romano (1897-1984), 1956, 40 x 41 in. 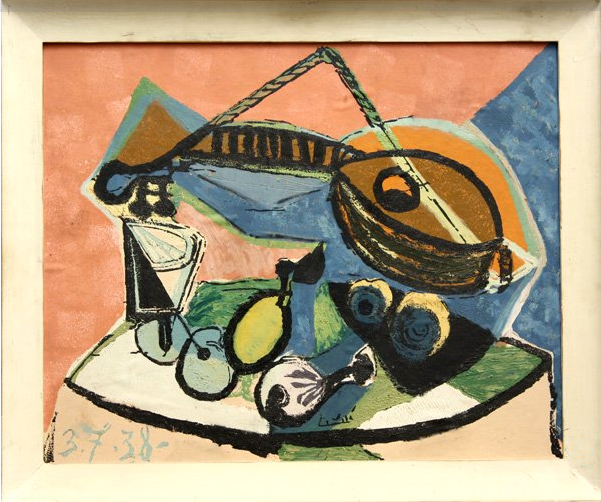 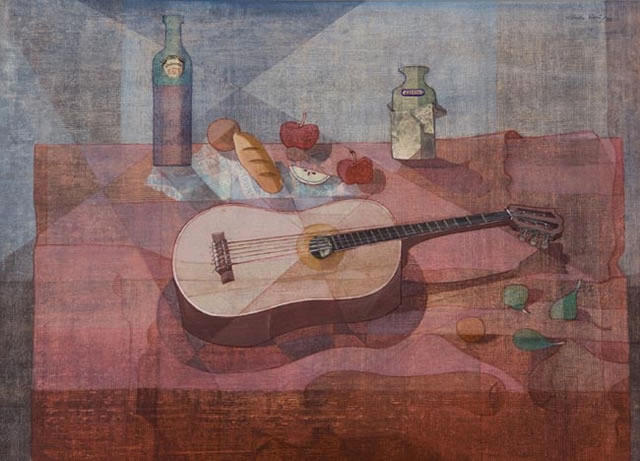 illegible signature, Still Life with Guitar and Fruit, 1938, 22 x 26 in.